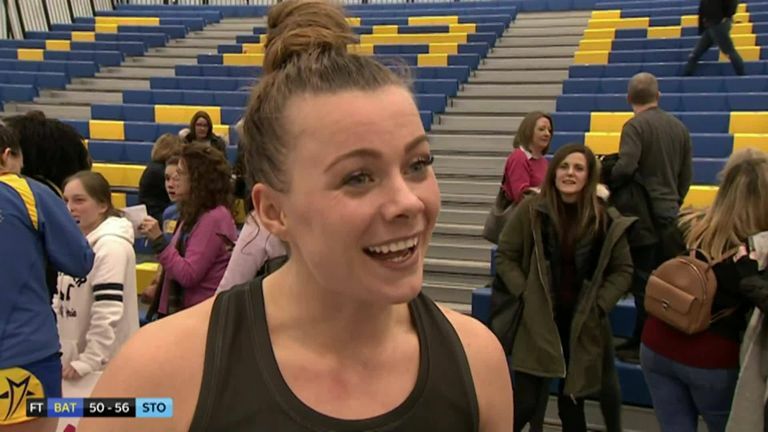 Surrey Storm sent shockwaves around the Vitality Netball Superleague as they travelled to Team Bath and came away with a 56-50 victory - their first win of the new season. Storm went into the match off the back of losses to both Strathclyde Sirens and Saracens Mavericks whereas Bath were yet to taste defeat this term. The hosts were unable to field England international defender Eboni Usoro-Brown due to injury and her experience was missed. Conversely Storm were boosted by the return of their South African internationals Sigi Burger and Shadine Van Der Merwe. Both had clearly returned from a productive Quad Series in high spirits and the player of the match - Burger - would prove to be instrumental in Storm's shooting circle. For all of Storm's precision and confidence on the night, Team Bath looked off-colour and failed to capitalise on the amount of turnover ball that they gained. 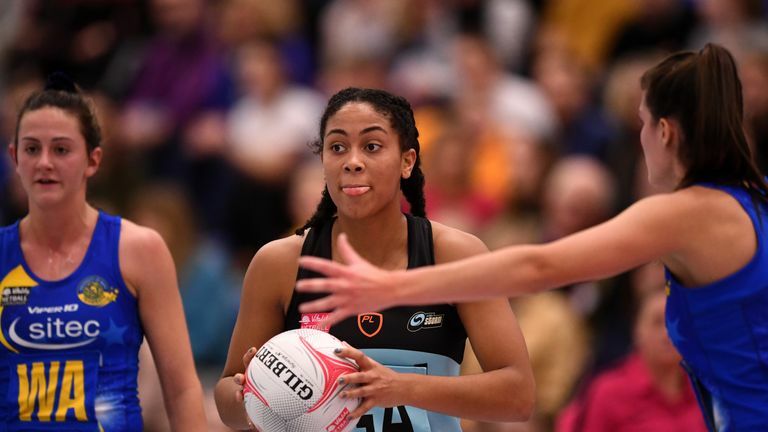 The home side led 14-12 after the first quarter but found themselves 28-26 down at the break as Storm grew into the match and Bath missed their own opportunities. Mikki Austin's outfit played with pace and purpose, quick feeds into a dominating Burger at GS showcased their intent and a decisive third quarter saw them use their settled line-up to surge into six-goal lead. On the flip side Bath struggled to find real rhythm, instead changing up their line-up throughout the match and not seeing those changes making a considerable impact. The exception to that rule was Serena Guthrie's defensive work when she shifted from Centre to WD. Guthrie showed her ability with some excellent interceptions however her side were not able to convert them and make considerable inroads into their half-time deficit. Storm remained in front going into the final 15 minutes and from a position of 43-37 up they maintained their composure and belief. Director of Netball Austin kept them focused while Yasmin Parsons' vision, and accurate feeding, into Burger shone from start to finish. Storm will now head home to meet Wasps Netball on February 2, in their annual match held in memory of their former team manager Tom Reseigh who sadly passed away following a long battle with cancer. For Team Bath, it's a shorter turnaround as they must dust themselves off before hosting Severn Stars on Friday evening at Team Bath Arena. 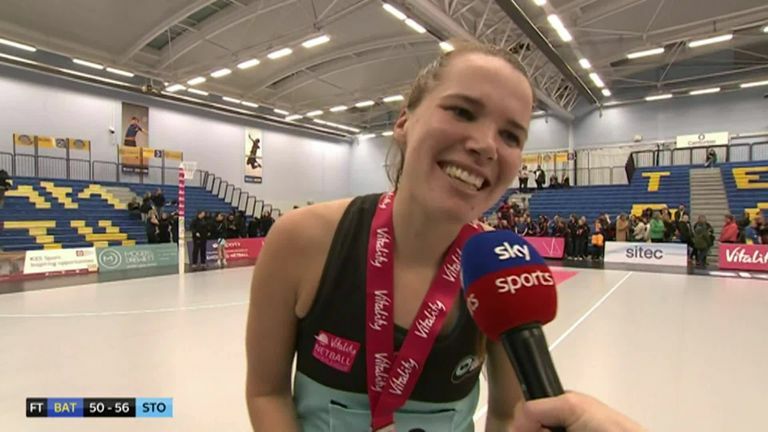 After their victory, Storm's director of netball Austin was most impressed with her team's performance level and spoke about her on-going learning when it comes to both playing and being at the helm. 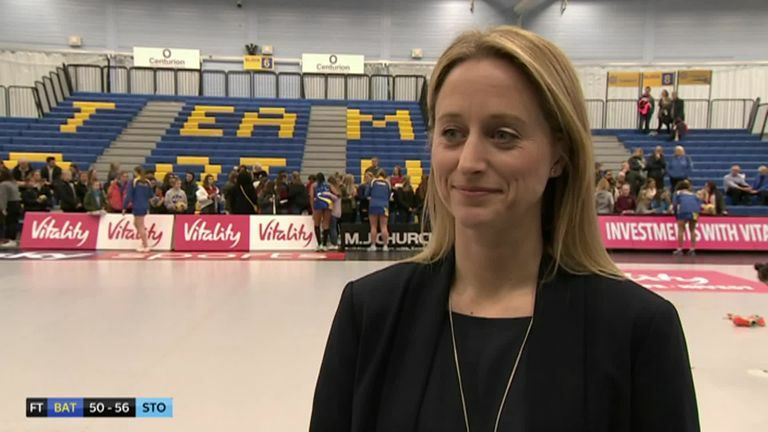 Team Bath's head coach Jess Thrilby was expecting a big performance from Storm and was left frustrated by her side's output on the night.